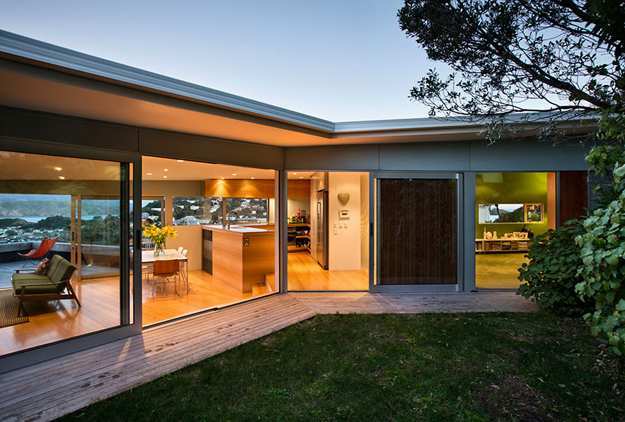 Lushome presents a beautiful modern house designed and built in New Zealand. 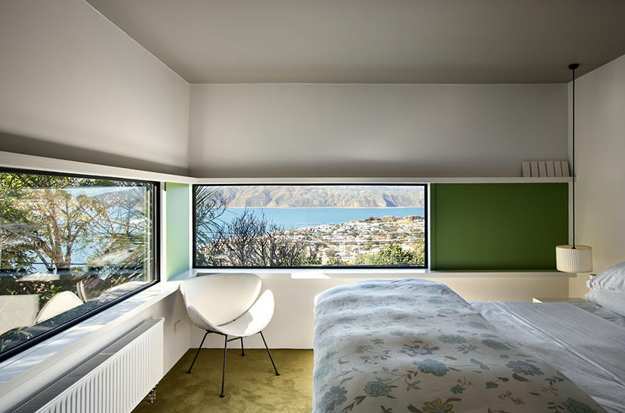 The Seatoun Heights House sits on a steep hill and offer panoramic views of a spectacular harbor and green New Zealand landscape. 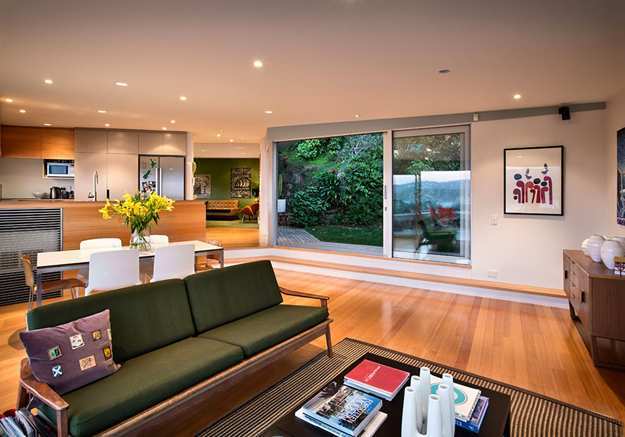 The breathtaking views of the water and picturesque green hills enhance modern house exterior and interior design and create true harmony with decor in green colors. 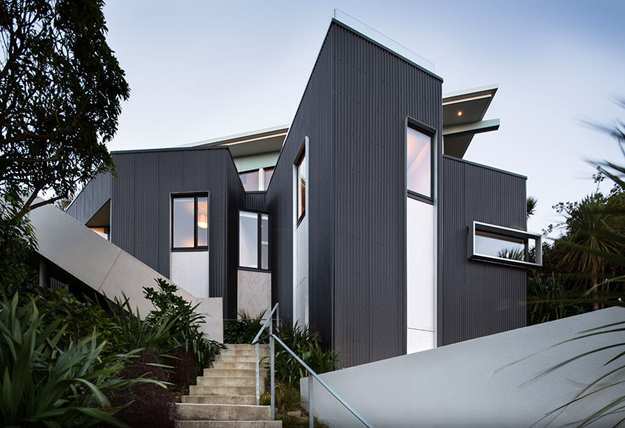 This modern house design is the residential project by Parsonson Architects, www.p-a.co.nz/ that took advantage of the gorgeous site location. 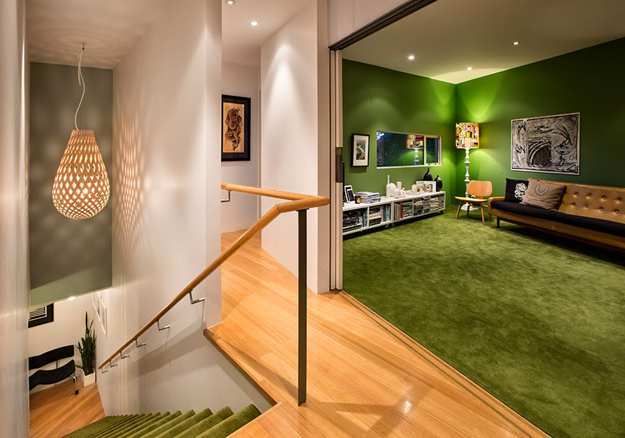 The house is surrounded by lush vegetation that add a pleasant and peaceful feel to its design and home decor. 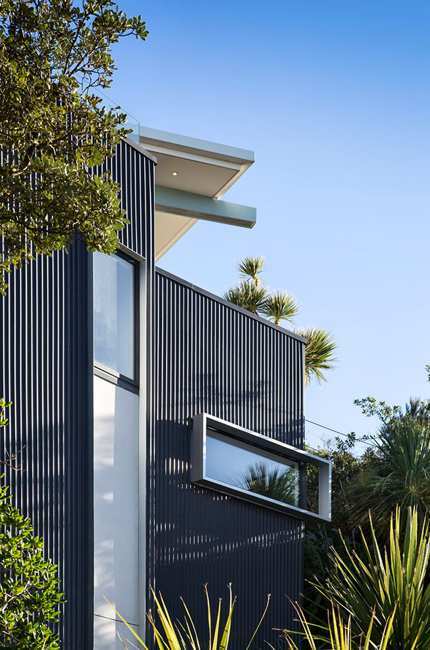 The house exterior features clad in dark vertical corrugated iron that emphasize the connection of beautiful textures on the site. 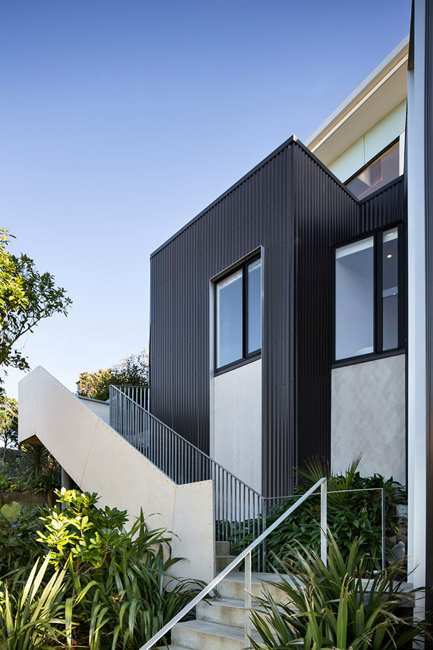 Beautiful trees and leaves, combined with natural wood and corrugated iron materials create a distinct color palette, great for comfortable and inviting house exterior design. 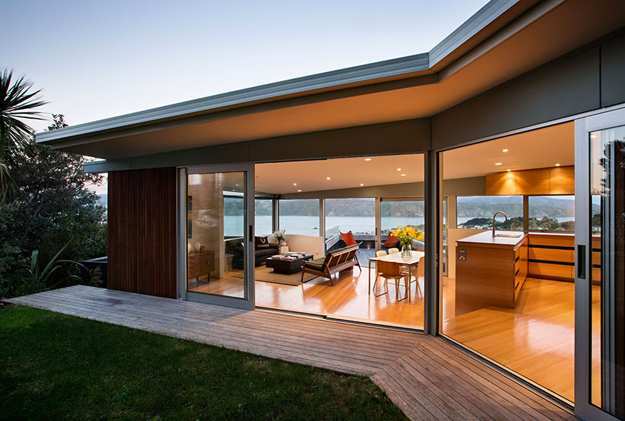 The house design combines the simplicity of forms with its fascinating irregular shape. 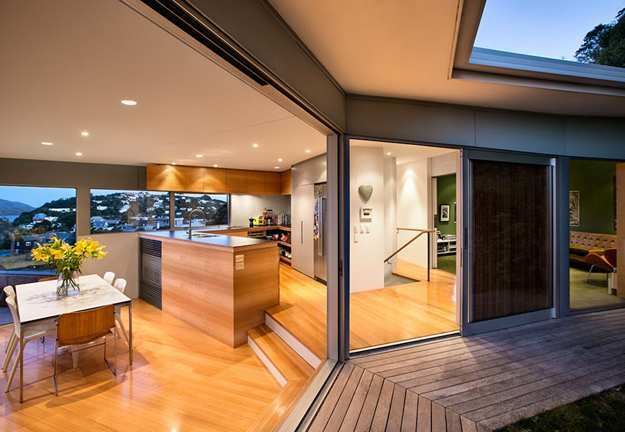 Surprising and interesting house exterior and welcoming, relaxing and stylish interior design and decor with natural wood and green colors create beautiful, contemporary and comfortable living spaces. 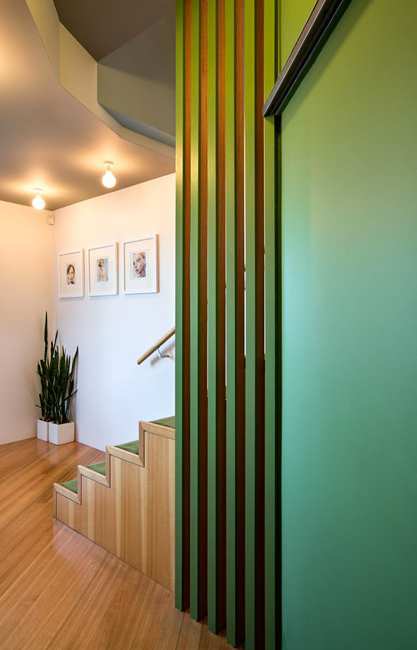 The house is wrapping around a small green lawn and garden bringing freshness into modern interior design and creating harmonious color palette with wooden interior design elements and green colors selected for room decorating. 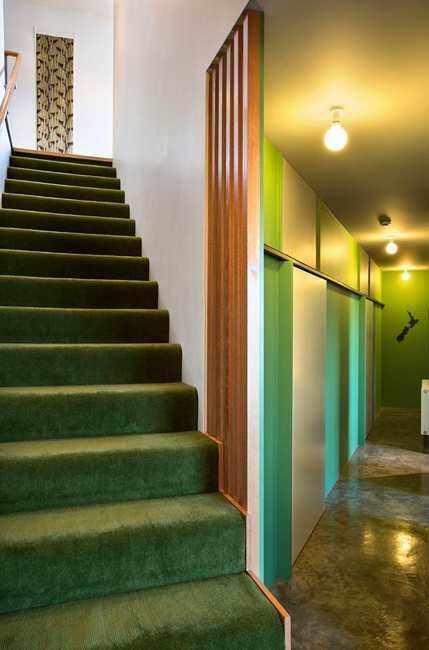 The floor level steps down towards the green lawn and allows views through glass wall and back through the house and out to the harbor and green hills. 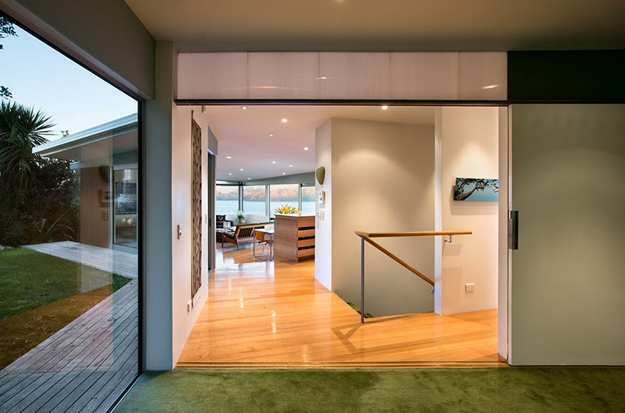 Sliding glass doors connect the wooden deck with living areas and green garden, creating an amazing effect of outdoor living and emphasizing bright and natural interior design with gorgeous views. The bedroom level is excavated back into the hillside. The bedroom design is open and light, cozy and peaceful. 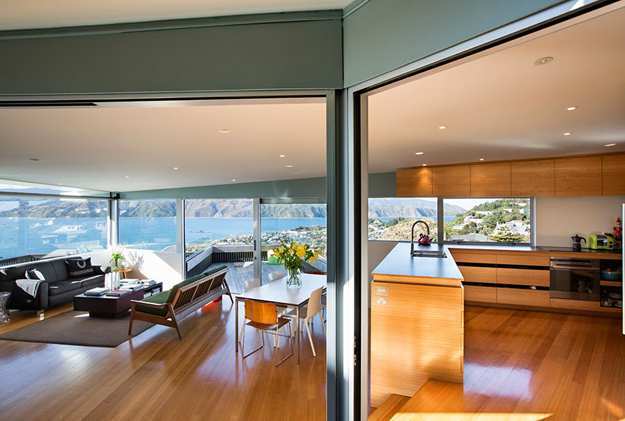 The bedroom design is enhanced by pleasant views giving each bedroom a different character and distinct look. 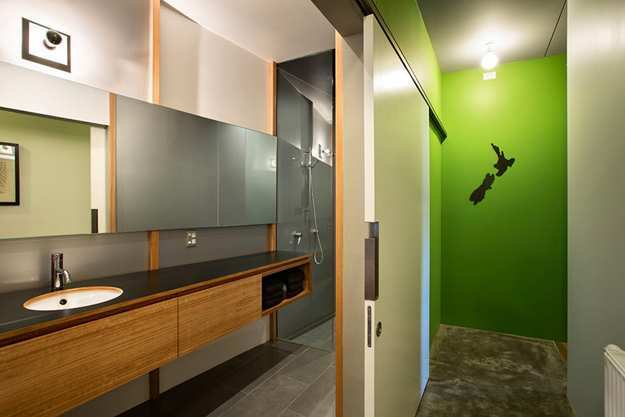 Modern interior design and decor in natural wood and green colors are spiced up with vivid accents. 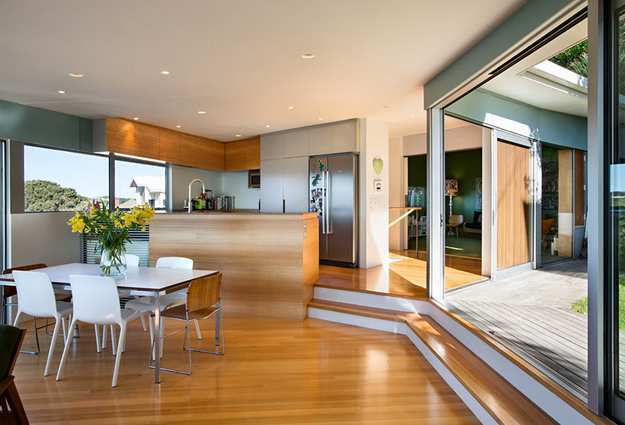 The home interiors are friendly and welcoming. 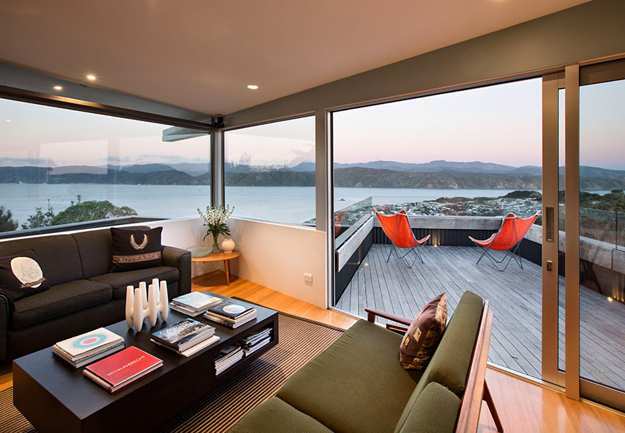 The use of wood bring warmth into the bright contemporary living spaces and green colors create a natural connection of beautiful natural surroundings and gorgeous views through stunning floor-to-ceiling windows.